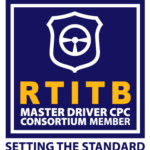 Driver CPC courses designed to enhance your knowledge & skills and help you stay qualified. Our courses are delivered by our DSA approved Driver Trainer in our training suite at our depot in Sittingbourne. The training is JAUPT approved and RTITB accredited so you can be assured of the highest standards. Each 7 hour module is just £68 (plus VAT) per person, which includes the CPC upload fee and a PDF certificate. If you would like any further information, check availability or to book any of these courses, please contact Lindsey on 07515 330685 or email dashboard@trustfirmin.com. We can deliver courses in 3.5 hour or 7 hour modules which can be tailored to meet your requirements. We can also deliver training at your premises. Please contact us to discuss your needs and see how we can support your CPC training. Below are the open courses that are scheduled for 2019.